Our Toddler Room serves children ages 18 months to 2 years, 9 months old. The room is arranged to safely allow a wide range of activities that stimulate healthy growth and development—through hands-on experiences with people, objects, events and ideas. Each day’s experiences are carefully chosen using Creative Curriculum. 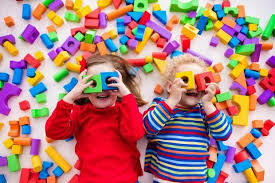 This early childhood development program allows our staff to provide uniquely nurturing care that encourages each child’s enjoyment of their earliest learning experiences and discovering the world through exploration and play.